The Experimental Station is working to build independent cultural infrastructure on the South Side of Chicago. We do this by fostering a dynamic ecology of innovative educational and cultural programs, small business enterprises and community initiatives. Since 2006, we have both built our own programming to address a variety of identified local needs and have fostered, hosted, and sponsored numerous other initiatives. Blackstone Bicycle Works is a bustling community bike shop, offering repairs and sales of refurbished bikes. It is also the only bike shop in Chicago that offers over 150 youth the opportunity to work in a retail setting, to earn bikes and accessories as they learn the art and science of bicycle mechanics, to learn about how a business works, to discover the satisfaction of a job well done, to participate in the civic life of a vibrant community, to be safe and free of the pressures of the streets, and to have fun. 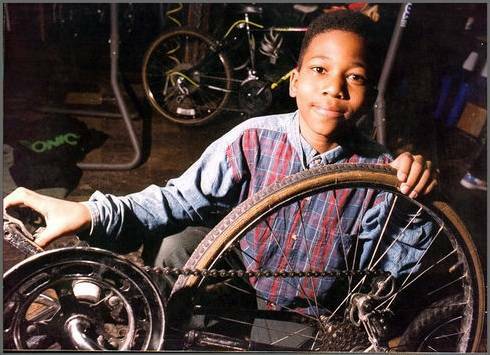 Blackstone Bicycle Works, our first program, re-opened in 2006 (it was originally founded in 1994 by the Resource Center and Dan Peterman). In May 2008, the Experimental Station launched the 61st Street Farmers Market to bring fresh, organic, and sustainably raised foods from regional producers to the Woodlawn neighborhood and to provide educational opportunities to learn about food preparation, healthy eating, and sustainable agricultural practices. Part of the Experimental Station’s Food Culture program, the 61st Street Farmers Market joins a variety of other food initiatives that we have fostered since 2006: the Woodlawn Buying Club (a bulk foods purchasing club), the 61st Street Community Garden, community bread baking, beer brewing, and the Original Fire Dinners supper club. The outdoor season begins weekly on May 12th, 2018 and moves indoors on November 3rd. The Experimental Station seeks to increase the affordability and accessibility of nutritious foods sold at Illinois farmers markets for low-income Illinoisans, rebuilding linkages between local agricultural producers and consumers. LINK Up Illinois is a program that helps achieve this goal by providing farmers markets across the state with funding for Double Value Coupon incentive programs for LINK Card (Illinois' SNAP program, formerly known as “food stamps”) shoppers. 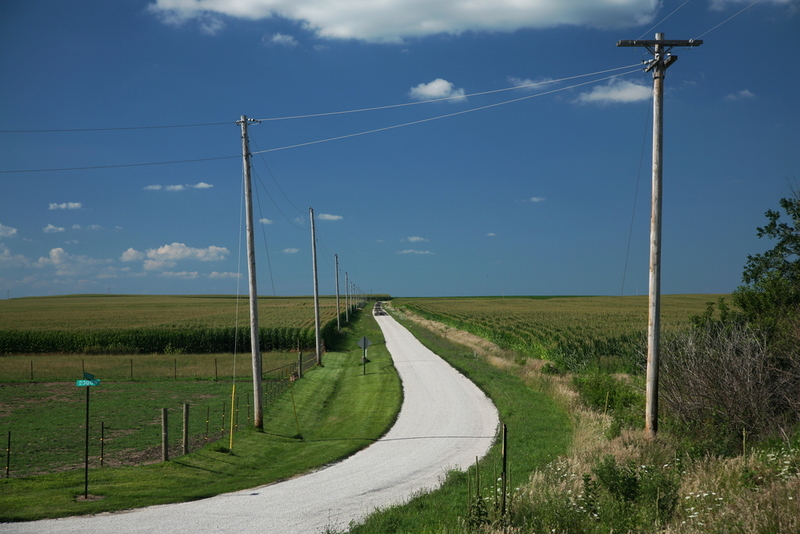 LINK Up Illinois also provides participating markets with training and technical assistance for implementing these programs successfully. Among the many cultural events we have hosted since 2006 are readings by authors Naomi Klein and Thomas Frank, a three-day workshop and performance by the Bread & Puppet Theater, concerts by experimental composer and musician Gene Coleman, the Festival of Democracy, Assata Shakur’s Chicago birthday celebration, Chicago Humanities Festival panels and discussions, a year-long series of events and discussions on (Black) culture, politics, and esthetics, Hyde Park Jazz Festival concerts, Kansas City-based Whoop Dee Doo performances, an audio/photography exhibit by Ben Calhoun and Paul Calhoun, conversations with authors Michelle Alexander, Natalie Moore and Lance Williams, Hyde Park Community Players performances, the annual Tellebration storytelling festival, and most recently Brian Jones in ‘Marx in Soho’. For his first installation, Joseph Harris has placed his drawings, text pieces, 3-D printed and laser-cut objects, and personal artifacts throughout the Experimental Station entryway, tied together with words and writings directly on the walls. Two large projections feature videos of Joseph’s performance style and a slideshow of his graphic designs, drawings, and photographs. Reception event for Joseph Harris’ “To Love” exhibit featuring writing, calligraphy, video projection, and art objects. Sixty degrees replacing the freeze. At the market you can expect to find: fruits, veggies, bread, eggs, cheese, meats, baked goods, baby greens and lettuces. As well as prepared seasonal food, veggie burgers, soups, preserves, honey, cider, salsa, sauces, and prepared food! The Invisible Institute is a journalism production company on the South Side of Chicago. They work to enhance the capacity of citizens to hold public institutions accountable. Among the tactics they employ are investigative reporting, multimedia storytelling, human rights documentation, the curation of public information, and the orchestration of difficult public conversations. The work coheres around a central principle: we as citizens have co-responsibility with the government for maintaining respect for human rights and, when abuses occur, for demanding redress. The South Side Weekly is a nonprofit newsprint magazine dedicated to supporting cultural and civic engagement on the South Side, and to providing educational opportunities for developing journalists, writers, and artists. They publish in-depth coverage of the arts and issues of public interest alongside oral histories, poetry, fiction, interviews, and artwork from local photographers and illustrators. The paper is produced by an all-volunteer editorial staff and seeks contributions from across the city. They distribute each Wednesday in the fall, spring, and winter, with breaks during April and December. Over the summer they publish monthly. The South Side Weekly is a fiscal sponsee of the Experimental Station. Civic Projects is a hybrid architecture practice in Chicago. Their work includes architecture as well as community and strategic planning, grant writing, and small-scale revitalization. They see their work as serving communities by expanding the role of design and architecture collectively. Their process of engagement, which interweaves closely with the process of design, prioritizes the involvement of those who the project will serve. Build Coffee is a coffee shop in the Experimental Station on the South Side of Chicago. Surrounded by community-driven non-profits and civic journalism projects, Build is designed as a hub of great coffee and radical collaboration. Build acts as a small venue for performances, workshops, gallery shows, book groups, game nights, and more. They also sell used books, local small press publications, journals, comics, art books, and zines. Founded in 2015, City Bureau is a civic journalism lab based on the South Side of Chicago. They bring journalists and community members together in collaborative environments to promote responsible media coverage increase civic engagement, and hold powerful forces to account. Their three programs are the public newsroom, documenters, and a reporting fellowship. 90 Days, 90 Voices tells the stories of those seeking a home in the United States during an age of unrest through personal narratives, audio, photography, comics, and live journalism events. They hope to give you a glimpse into the hardships endured by more than 65 million refugees worldwide who are searching for dignity in the largest displacement crisis since World War II. 90 Days, 90 Voices is a fiscal sponsee of the Experimental Station. Since 2006, Experimental Station has provided discounted long-term rental space to B’Gabs Goodies Raw Vegan Deli, Peterman Studio, Backstory Café, Roots & Shoots (a Jane Goodall Institute program), the Baffler literary magazine, and the Yamaguchi Institute (Theaster Gates' artist studio), and since 2007, has provided fiscal sponsorship for AREA Chicago, Chicago Free School, City Bureau, and the Invisible Institute. Since 2009, we have been the host site for the Hyde Park Community Players and Major Taylor Bicycle Club. The Experimental Station is a not-for-profit corporation. Like all non-profits, the Experimental Station depends on revenues generated from grants and individual donations to cover its expenses. While generating grant and donor revenues is a necessary and desirable privilege, by building our earned revenue base through long-term rental to building occupants & projects and through short-term & event rentals of our spaces, we seek to cover our operating and overhead expenses. Like all corporations, whether for-profit or non-profit, the Experimental Station must create and apply budgets, follow standard accounting practices, pay its bills, bring in revenue to pay them, etc. Despite such similarities, the Experimental Station consciously embraces a business philosophy that is, in significant ways, at odds with standard business philosophies. Underlying the Experimental Station's business practice is the ecological principle of mutualism. Mutualism, like competition and parasitism, is a form of symbiosis ("living together"). We have all long been told that competition brings out the best in us. Indeed, Darwin rooted his evolutionary theory in the notion of competition among species; those that survive are those best able to adapt and to beat out competitors for light and nourishment. The result, we are told, is a more robust plant, animal and, in the capitalist world, business. Like competition, the goal of which is to leave one man standing, parasitism implies a relationship between two parties that is, ultimately, harmful to one of them. This can be translated into business terms as the "I'm going to exploit all of the resources that you offer as cheaply as I can" mentality. Parasitism is a sustainable strategy neither for the host, nor for the parasite; after killing off its host, the parasite must then seek out another. Mutualism, unlike competition and parasitism, is a symbiotic relationship that works to the long-term benefit of both parties. In a mutual relationship, each party contributes to the well-being of the other, providing one another nourishment, protection, or an array of other services and resources. Embracing mutualism as our manner of doing business, the Experimental Station seeks occupants, participants, and collaborators that recognize the benefit of creating a mutually supportive environment. As in a natural ecosystem, wherein mutualism between species produces long-term positive effects, we believe that mutualism between the Experimental Station, occupants, projects, and participants will give rise to long-term stability for all and a greater ability to support a broad variety of initiatives. Underlying the Experimental Station’s undertakings is a belief in the singular importance of hospitality as an institutional value. As hosts, we aim to provide a place where people and ideas feel welcome, where individuals matter, and where encounters and conversations are fostered that cannot or are unlikely to happen elsewhere. As an institution, we seek to create a nourishing habitat that invites inventiveness, creativity, critical thinking, collaboration, resource sharing, and community.